Friday Fictioneers – 1/30 – “The Gift” | brainsnorts inc. I haven’t played with the Friday Fictioneers in a long time, but when i saw this picture – and when I saw who contributed it – something came to me quite quickly. No long setups because if I need a long setup, then I haven’t done my job with 100 words. “But he said to come see the trains he got for Christmas,” Teddy whined. She pulled him in, door slammed. Her body guided him to the stairs. “Probably some stupid dolls?” Teddy said. They reached her room. Teddy would soon become Ted. Wow…. a tale of sexual initiation — I don’t think we’ve had one of those ’round here yet. Well done. Oh yes.. oh yes.. this is what my fantasies was all about at one point. I miss the dialogue in your writing. BTW I read your longer story the other day and I’m still thinking about a response. Thanks. Very much appreciate your comment. It is a moment I certainly wish I had a chance to live out. Looking forward to your response about the other story. And today Teddy becomes a man. Welcome back to FF, Rich! They start earlier and earlier every generation. except when i was that age. dangit! thanks for stopping by. i think whatever ted got is also what she got. grew. found. all of the above. the world needs sluts too! it’s the gift that (she) keeps on giving. Good to see you back around these parts. You always were a master of brevity. It’s amazing how those last five words convey so much meaning, none of which would come across in Google Translate. he might be “joe,” but hopefully not with mary’s help. though mary does seem on the naughty side, it could be attributed to human nature and natural instincts. either way, it was fun to write it. thanks for stopping by. This is the story of a boy named Ted and his mother said, “Ted be good.” So was your story. ted may have been good, but mary will help him improve. they’re developing a special friendship. thanks for the greetings. When I was a lad grown up in New Shrewsbury I had a friend who lived just down the road from Melanie, whose one hit wonder song came to mind when I read your perfect story. So nice to see your particular style here in the Friday Fictioneer’s mix. yes sir, that’s what i was going for – mary had an awakening that went beyond the traditional gifts, and she wanted to share it with someone. 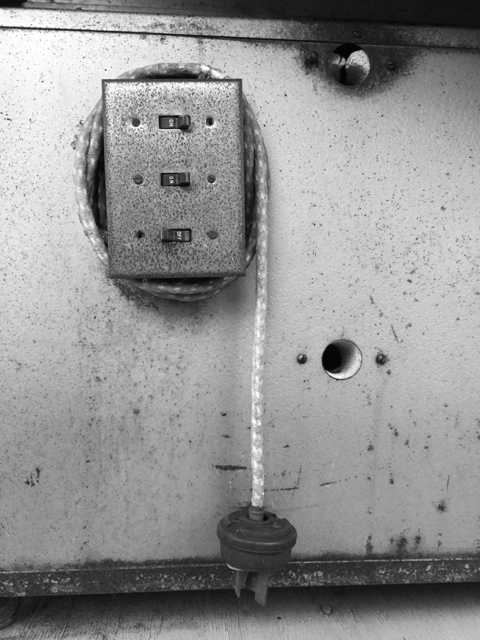 thanks to ted, whose image of an old power cord made me think of days gone by. and thanks for the greeting. No long set ups needed. “Joey’s out with my parents” is perfect in its simplistic glory. thanks. that’s what editing is all about. greatly appreciate your comment and perception. Editing. Yes. Funny you say that. A coworker asked me today how I managed 100-word stories and then said, “like, what, do you write a whole bunch of words and then figure out the best ones?” Exactly. i’ll have to get over and peek at yours. 🙂 Sound’s like every boy’s dream girl. only about 95% of them. thanks for reading. that’s what i’m hoping for – something that you didn’t see coming but for which there were enough hints that come back to you when you realize what was actually happening. thanks for reading. I’ll show you mine if you’ll show me yours? Welcome back, stud. And what a one to come back with. Teddy and Ted made me think of, you know, the lacy Teddy. I don’t know if that was intended. Merry Christmas, Ted! the “ted” was for the man who kindly allowed us to use his picture for this week. Good to see you back here Rich and on top form as usual. thanks miss. good to see you too.